I am sickened by Planned Parenthood. They are exploiting women for profit all in the name of equality and empowerment. The latest news of PP selling the body parts of aborted fetus’ should disgust all and bring to mind horrific images of some futuristic dystopia. If you’ve not seen the undercover footage, stop what you are doing and watch it here. So when does the horror and calamity from ignorant practices require us to take the gloves off? 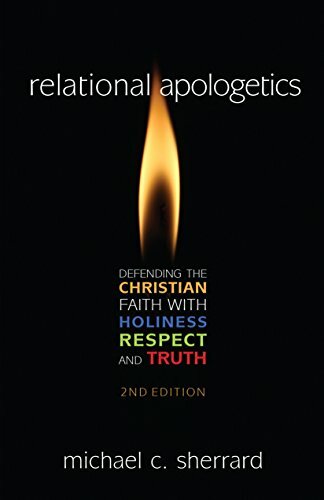 I ask this in apparent contradiction as I am the author of Relational Apologetics: Defending the Christian Faith with Holiness, Respect, and Truth. One might assume my answer. But I think there is a time when gentleness is not an option and respect should not be given. Let me explain. When one that I love is drowning, gentleness is not my concern. I will use whatever force I need to pull them from the raging waters. When one that I love does something evil, I give no respect to their actions or the thinking that caused them. I will expose them for what they are, and sometimes only harsh language can convey the tragedy and folly of wickedness. It's obvious that force and strong language can be used for good and respect for evil actions is not necessary. But it is too easy to miss apply these principles. So let me set a couple of ground rules. Premeditated violence is not the way of the follower of Jesus. We are not to create a holy army and wage a literal war for we do not merely fight against flesh and blood. A war fought against such would not bring the change we desire. We fight ideas. The battleground is the mind. Guns and swords aren’t much use there. What is useful are stories and art and logic. We must wage a war of ideas and capture our cultures imagination. And in this we must be aggressive. Using words to make people feel inferior to us is not the way of the Christian either. We are not to beat people into submission with language. But we can use words to shame people for holding utterly stupid ideas. This is a delicate art. One that must be undergirded by love. In the same way I make my precious daughter feel silly for being childishly selfish, so too can we use things like sarcasm and mockery to expose ridiculous thinking. When love is felt, words attack ideas and not people. If the church is going to use harsh words, its love must be felt. When something we love is dangerously close to disaster, our presence must be felt. As a body, we must unite and spur one another onto good works grounded in the love of Christ. We cannot now retreat in the name of turning the other cheek. Nor can we storm the gates with hate in our hearts. Wisdom and humility must be our generals and our Lord must be our Lord. It is easy now to respond to the current cultural crisis for our names sake, our own well being. But let us gladly lay down our lives for the good of this world and the glory of God. Let us seek the renewal of our culture. And let us use the tactics that are necessary but also worthy of our calling.